Experience the NEW Delta Hotels by Marriott Richmond Downtown! Our hotel features rooms with beautiful views of the James River, spacious indoor pool, fitness center, fast free Wi-Fi, microwave & fridge, in-room safe, onsite parking & complimentary downtown shuttle. We are located near many of the citys top businesses, such as Federal Reserve Bank, CoStar, SunTrust, UPS, VA Biotech Park, Dominion Energy & VA Commonwealth University; and are just minutes away from the VA State Capitol, Coliseum and Richmond Convention Center. Just outside our doors is Browns Island, host to many festivals and where you can embark on the best urban whitewater rafting & mountain biking in America! Delta Hotels Richmond Downtown is within walking distance of American Civil War Center, Altria Theatre, Dominion Arts Center & The National. Our 13,000 sq. 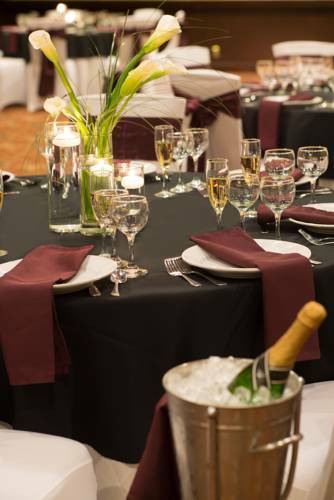 ft. event space is perfect for meetings, conventions, weddings & more. Book Delta Hotels Richmond Downtown & enjoy the newest full service hotel in Downtown Richmond!